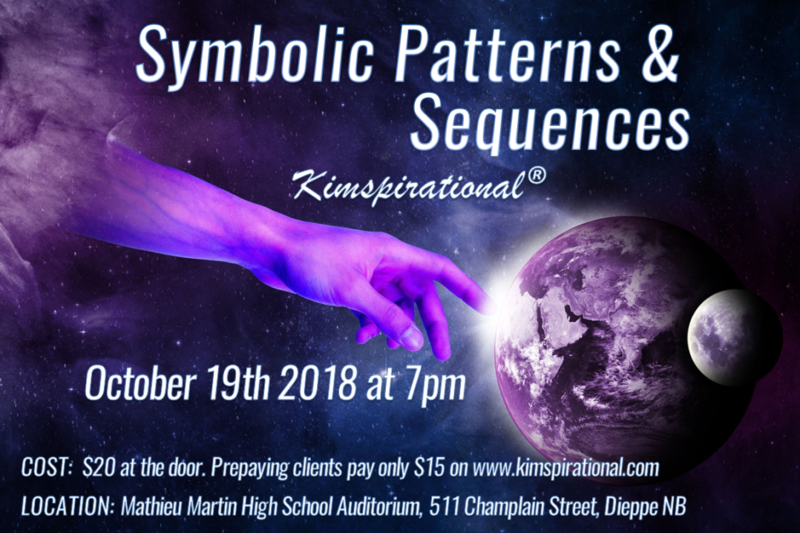 Symbolic Patterns & Sequences: From Crop Circles to Aliens; Sacred Sites to Strange Sounds Heard Around the World; Spirits to Animal Guides; Ascended Masters to Dream Symbols; Oh the places we’ll go! This two-hour class will tour us around the many patterns that which may have been Created to stir us Homo Sappiens into Awareness. Are we making up the signs and symbols that are around us? Does the UNIVERSE AT LARGE have something to share with us? Are we missing the point? Will it one day all add up? It’s as easy as the Fibonacci sequence. I have had a year to take it all in! COST: $20 at the door. Prepaying clients pay only $15. This offer is until October 17th. You can pay on eTransfer, [email protected] To ensure that you are on the list of prepaid clients please book online. Interested in saving $15 off a Psychic/Mediumship Reading via Skype/Facebook Video with Kimspirational? Regular price is $100. Come to the Symbolic Patterns & Sequences event and get your Winter online reading for only $85 (This offer is until March 21th 2019).